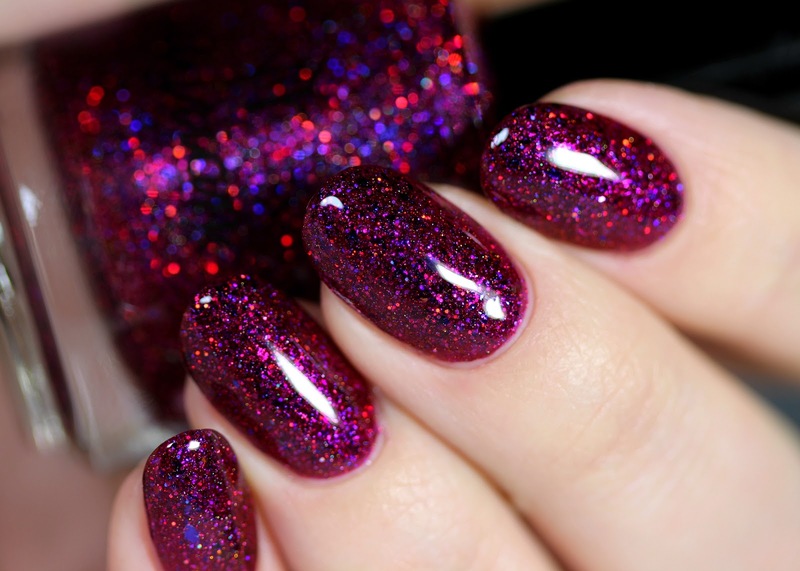 Live.Love.Polish released their version of color shifting shimmer flake toppers. If you only like a shy sprinkle of flakes, these are not for you, because these cover really well and evenly, I would call them "full coverage" (as full as a topper can be). You can see one average coat over a black base. 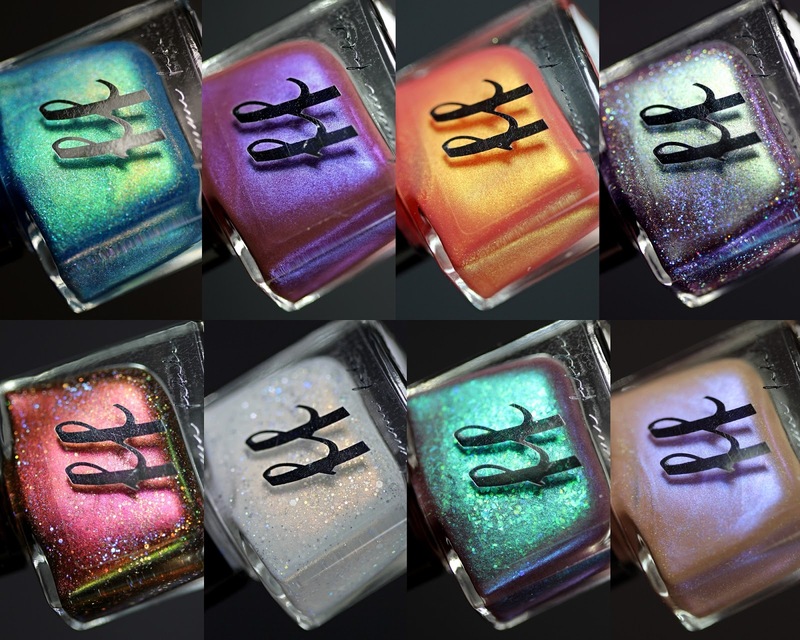 I will show you the Illyrian Polish Spring 2018 collection, which is one of the brightest, most colorful collections I've ever seen from the brand. The newest illimité collection was inspired by the paintings of Van Gogh. The six new shades includes 2 thermals! 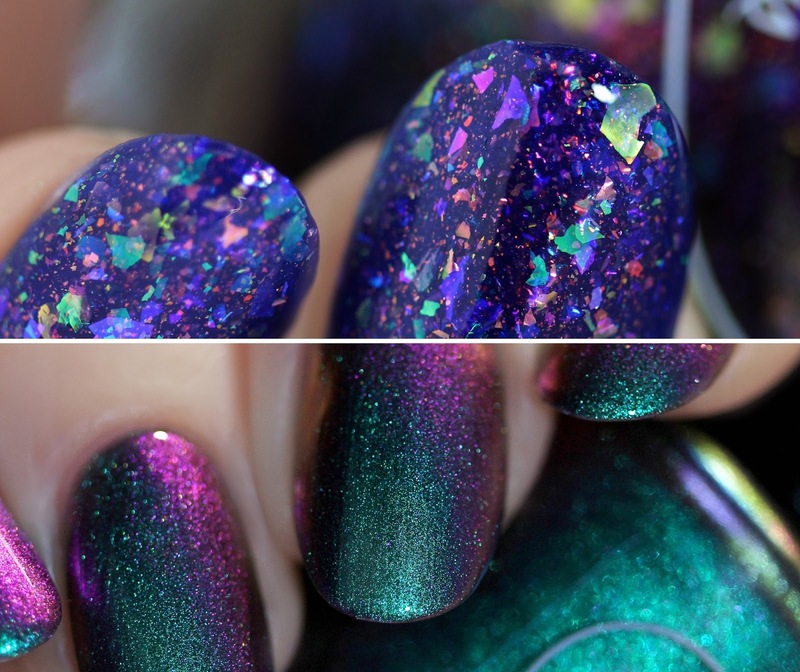 Polished For Days came out with a duo to celebrate the New Year, and finally I can show them to you. Illyrian Polish provided me for review their contribution to April's Polish Pickup. The theme is Across the Universe - Planets & Galaxies. Femme Fatale Cosmetics just launched their newest collection. The colors were inspired by the classic book – Anne of Green Gables - by Lucy Maud Montgomery.